Siberian Express: Hang out with fellow passengers and sample the Russian culture of ‘tea-ing’ and toasting, pirogis and providnitzas, as we venture deep into the Russian hinterland into Siberia. Lake Baikal: Take a small ship to a serene shore, camp out and eat omul, Baikal’s indigenous fish. Stay at a homestay with a Russian banya by the lake and take a lakeside train with spectacular views. 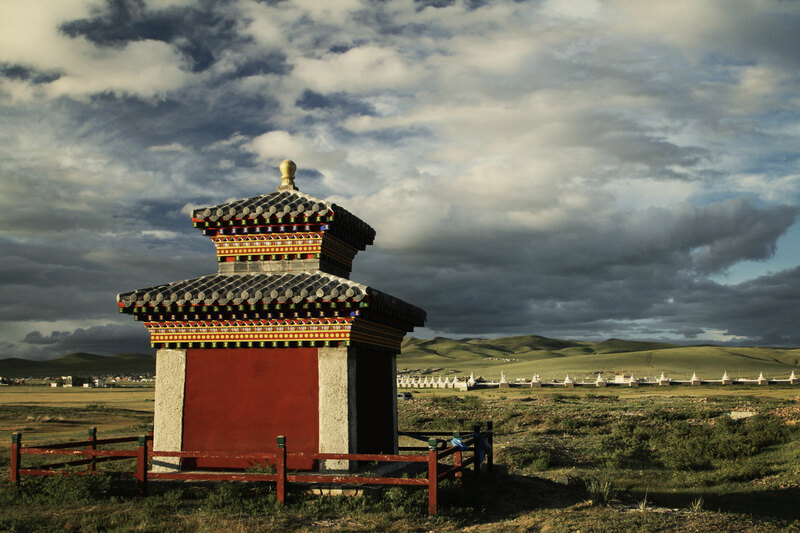 Mongolia: Take a 4WD out to Kharkhorin, the center of Mongolian Buddhism built from the ruins of Genghis Khan’s capital city; Orkhon waterfall in Khangai Nuruu National Park; and Lake Ogii, amid the grassland plains with abundant animal and bird-life. Beijing: Walk along a lesser visited section of the Great Wall and visit Tiananmen Square and the Forbidden City. We have the opportunity to have a Beijing duck dinner and watch acrobats. Day 1 Moscow Arrival day. Day 2 Moscow We have a free day to explore Russia’s capital and its array of cultural relics from the czars, the Soviet period and today’s Russia. In the evening we board the Siberian Express. Day 3-5 Siberian Express Hang out with fellow passengers and sample the Russian culture of ‘tea-ing’ and toasting, pirogis and providnitzas, as we venture deep into the Russian hinterland into Siberia. Day 11 Ulan Bator Arrive in the morning with a free day to explore Mongolia’s rapidly transforming capital city. Day 16 Trans-Mongolian We board the train and spend the day crossing the arid southern plains toward the Chinese border from where we descend into the ‘Middle Kingdom’. Day 17 Beijing The rest of the day is free to explore this fascinating city. In the evening we have the opportunity to have a Beijing duck dinner and see the acrobats. Day 18 The Great Wall We take an excursion from Beijing out to a less frequented portion of the wall and take a 10km (6 mile) hike between two of the most picturesque regions (optional). Day 19 Beijing We visit the Forbidden City and Tiananmen Square. There is a little more free time before those of us continuing on board the train for Xian. Day 20 Beijing The tour ends for those only doing the Moscow to Beijing segment. The Best Quest can arrange affordable airfare and travel insurance! 10% deposit required to reserve your spot. Please book no later than 60 days before departure. In the event that a trip is cancelled, deposits will be refunded in full. Read full booking conditions here.